Cajun style sausage adds spicy Louisiana flavor to this tasty potato soup. You may use kielbasa or your favorite smoked sausage in this recipe if you'd like. 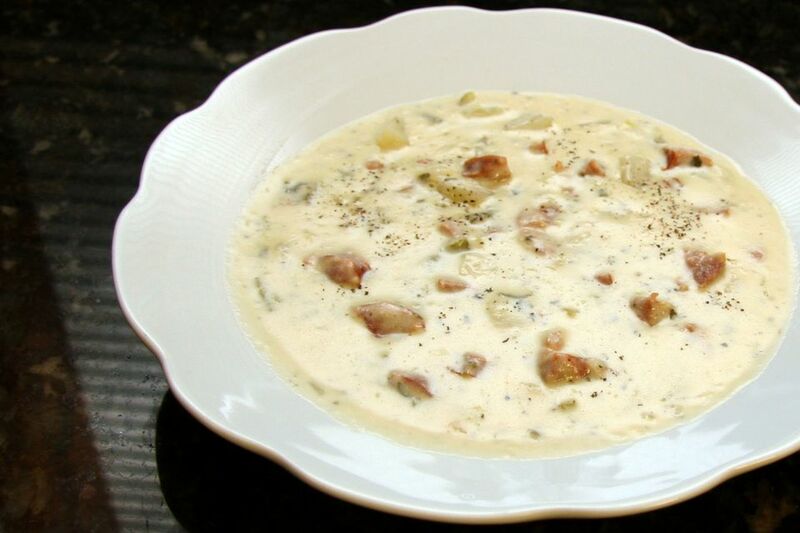 Serve this potato soup with biscuits or crusty rolls and a salad for a delicious lunch or dinner. In a large skillet over medium-low heat, melt the butter. Add the onion, celery, and diced sausage; sauté until the vegetables are tender and sausage is lightly browned. Stir the flour into the vegetable mixture until smooth and well-blended; stir in green onions, parsley, basil, salt, and pepper. Continue cooking, stirring, for 1 minute. Blend in the chicken broth. Add the diced potatoes, cover, and simmer for 25 minutes, or until potatoes are tender. Stir in the heavy cream and continue cooking until heated through.